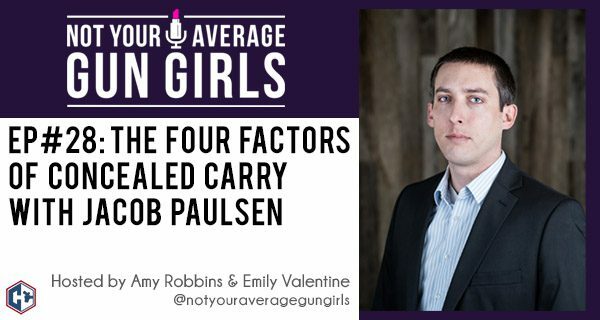 In this week’s episode, Amy and Emily welcome back Jacob Paulsen of ConcealedCarry.com to discuss what to expect when you’re ready to start conceal carrying. Jacob talks through the 4 factors of concealed carry from your holster to the type of clothing you wear. The girls and Jacob also talk about experimenting in the safety of your home to find what works for you to help overcome any anxiety or fear when carrying a firearm for the first time. ConcealedCarry.com, a network of firearm instructors across the country, an online store of firearm accessories, and a media outlet for the firearm industry.